This is the one! 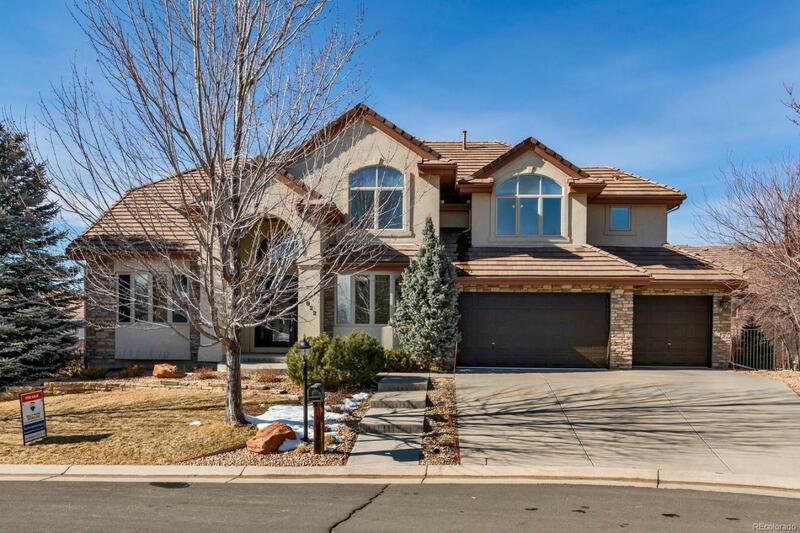 You will love this custom two-story home in Saddle Rock Golf Club. Mountain views! Gorgeous finishes throughout. Surround sound in select rooms. Hardwoods on the main & upstairs hallways. Formal living & dining rooms. Open gourmet kitchen with maple cabinetry, slab granite, top of the line stainless steel appliances, large center island with prep sink, butler's pantry & large eating space. Two-story great room with gas log fireplace. Take a look at those views out of the master suite with sitting area and double sided fireplace. Five piece master bath with heated floor & soaking tub. Nice sized secondary bedrooms all with private baths. Finished walkout basement with theatre room, large bar area, game area, two additional bedrooms and a 3/4 bath that has a steam shower. Good storage space. Dual furnaces & A/C's. A Must See!